Take advantage of the many opportunites you'll receive through membership with the South County Chambers of Commerce! Individuals whose parent company or business is already a member of the Chamber but wish to have their own membership, i.e., real estate agents. 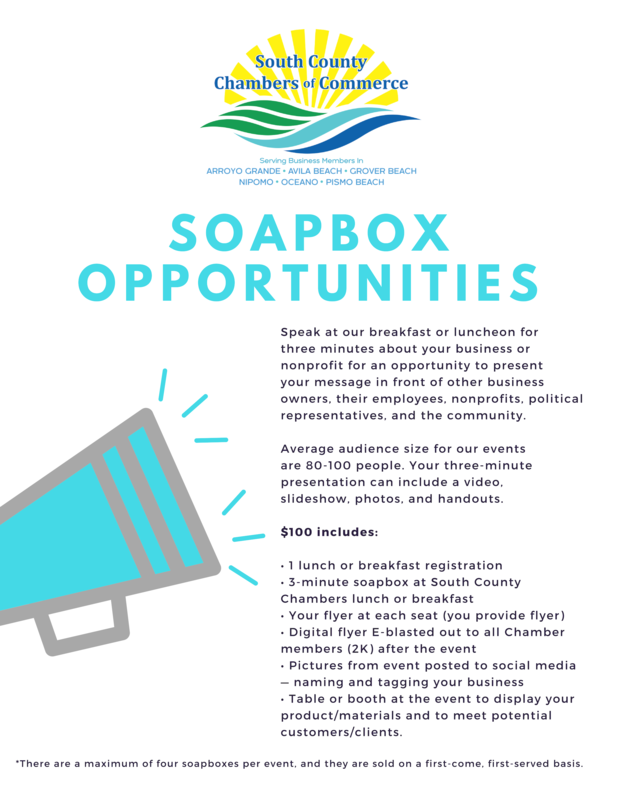 Banner ad on Chamber Website Complimentary Soap Box at one Chamber sponsored luncheon. A booth space at the Holiday Fest at the Outlets. Verbal recognition and listing in the program at the Annual Dinner. 2 VIP Tickets to the Annual Installation Dinner.